The big picture: The digital assistant niche is getting crowded and like every crowded space, you either step off or gang up on the other guys. Given recent demos of Google's Duplex, the collaboration between Amazon and Microsoft has been dialed-up. Just a year ago, Amazon and Microsoft announced they were breaking ground on a collaboration to bring their digital assistants, Alexa and Cortana, to each others' devices. One year on and the two tech giants' are making their first results public. 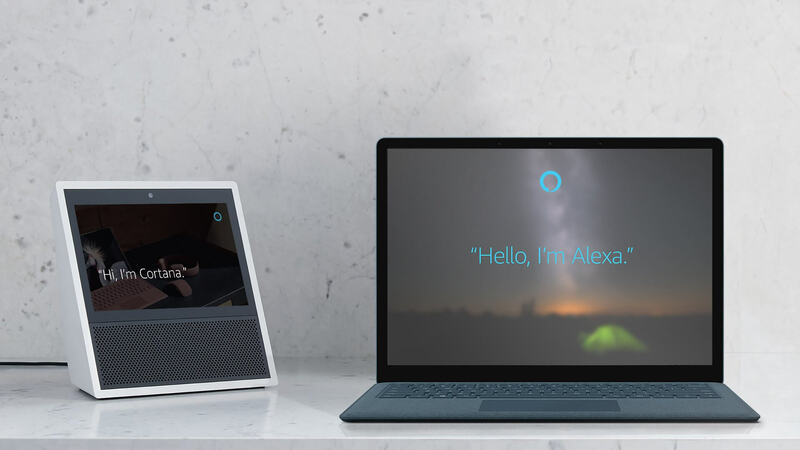 As of this week, US users on Windows 10 PCs, as well as owners of Alexa-enabled devices from Amazon, will be able to summon the others' digital assistants to carry out some tasks by proxy. This means you can call Alexa on Cortana and vice-versa. Right now you can get away with basic stuff, but you won't have access to music or other multimedia content. You can, though, check your daily calendar from Outlook on your Echo, or order something on Amazon through your desktop PC, simply by asking the digital assistant. The integration is still in its infancy and, to be honest, still fairly rudimentary. But Microsoft and Amazon have found it relevant enough to release to the general public. Microsoft and Amazon think users, rightly so, will have something to say about the final product, and are actively seeking feedback from users on the quality of the integration, taking suggestions on how to improve it. While the integration is generally complementary, as Alexa and Cortana operate in different spheres, you can't help but feel that the team up is partly to keep Google and Siri at bay. If you want to try it our right now on an Echo device, say “Alexa, open Cortana” and the assistant will show you the steps to set up your Microsoft account. If you're on a Windows 10 PC or have Harman-Kardon Invoke speakers, try “Hey Cortana, open Alexa” or click the microphone button and say “open Alexa.” Then just follow the steps to set up your Amazon account. Once your account is authorized, you'll be able to summon them just as you would on the original device. Neither Microsoft nor Amazon provided a list of features or of geographies to be covered with the integration, although both said the Skills would be incrementally enhanced over time to cover more and more actions.